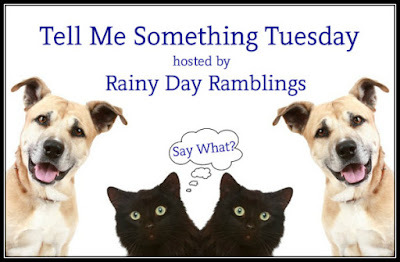 Tell Me Something Tuesday is a weekly discussion post hosted by Rainy Day Ramblings. She will discuss a wide range of topics from books to blogging. Weigh in and join the conversation by adding your thoughts in the comments of her original post (which you can find a link to below), or comment on my post. If you want to do your own post, grab the question and answer it on your blog! Do you find it is easier to read and review books that you have picked up on your own? I have found that reading and reviewing books that I have personally gone out and picked up on my own is SOO much easier. There is so much less pressure and stress. There aren't any deadlines, no one clicking refresh on my blog one thousand times waiting for me to post my opinion, and no guilt if I end up not liking the book. I also don't feel like my opinion could be swayed. Let me clarify that my reviews on books I have accepted for review have been 100% honest. I will never up the star rating just because you sent me a book for free! BUT there is that pressure, or rather guilt, when you end up not liking a book someone sent you. For me, I keep pushing myself to get through to the end no matter how bad it is and I end up arguing in my head about how many stars I should give and is my review too brutally honest? Should I make the review more constructive? When I review a book I have personally bought or borrowed, all of those pressures are gone. I don't even have to review the book. When I first started my blog I was obviously only reviewing books I personally bought for myself. 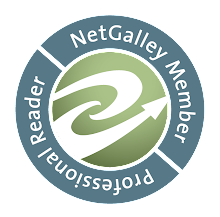 Every book bloggers dream is to get to a point where authors and publishers want to send you their books for free to review. The problem with that is in the beginning, you get greedy. At least I did. I was accepting almost everything that came my way and it turns out I didn't like the majority of them. Now, I make sure to read a pleasure book (a book I have gotten for myself) in between each book I read for review. This helps fight off reading slumps, dramatically! I am also a lot more picky about what I choose to accept for review and I try not to take on more than 3 in one month. I have also gotten a LOT better about setting a book down if I am just not getting into rather than forcing myself to read it and contacting authors and tour hosts when I end up hating it or not finishing it to cancel my blog stop. So what do you think? Are personal picks better than ones you receive for review?